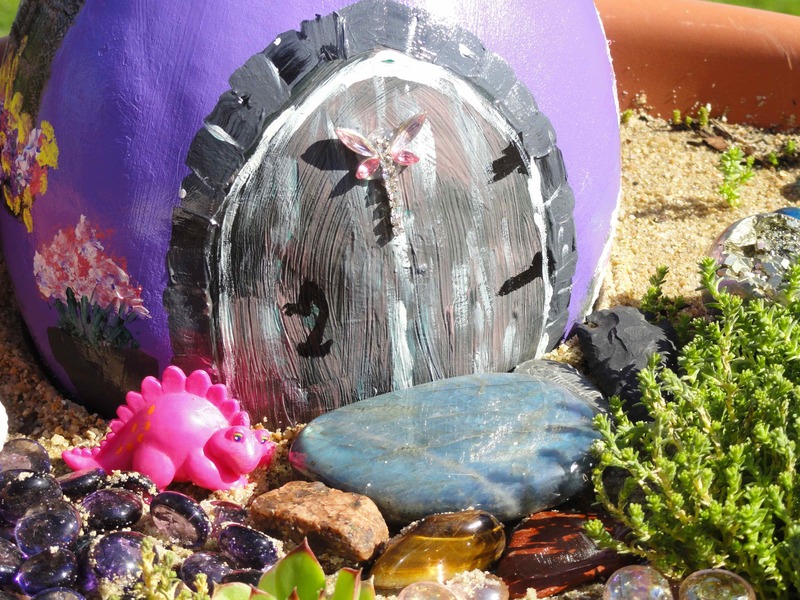 Recently I became enamored with the idea of fairy gardens. Yeppers, had to make one. I even used all the special rocks that my son gave me as a little boy. The worst part is that I also used a piece of marble I picked up on a 3rd or 4th grade field trip day at a local lake. As a fairy guard dog, I also have a Tinosaur that I got in a Happy Meal when I was 18 while harassing the help at a McDonalds with my closest high school friends that shall remain nameless. The house is a gourd I have had drying in my greenhouse for 14 years. Good gawd I’m a sentimental junk collector! And the scary part is that I remember when, where, and why I got them all. If you are interested, check out my Pinterest board where I got inspiration. 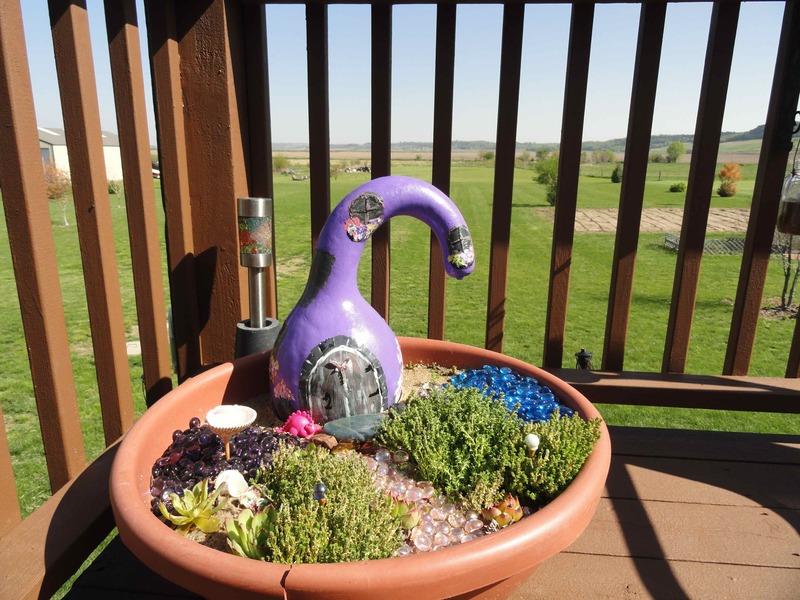 OMG I LOVE LOVE LOVE your fairy garden. I love the idea of fairies. I used to read the books about the Disney Fairies to my granddaughter when she was young – even when she was too old for me to be reading to her(don’t tell her I told you that!) You’ve inspired me. I might just have to make one. Hmmm – my husband will know that I’ve finally lost my mind. Hey wait a sec…does this mean I’ve already lost mine??! !